UP & DOWN MEDIA® help small businesses and start ups make the most of their social media and marketing activity. The word out there is: "Social Media is the best and easiest way to interact with your customers, understand them a little better and build long lasting relationships by engaging with them in a meaningful way"
Managing work overload: restructuring web | twitter | instagram | social media ads | email marketing.. into a workflow that doesn't cripple leisure time? Yes, most social media marketing is free, aside from paid advertising. But what most people don't count, is the time and effort that is spent, and often wasted when undertaking social media posting without plan. There is a lot of work involved in selecting the right images that work on small screens, cutting them to the correct size, producing descriptions and hashtags..
And then there is the subject matter, whether your INSTA feed actually tells a story? 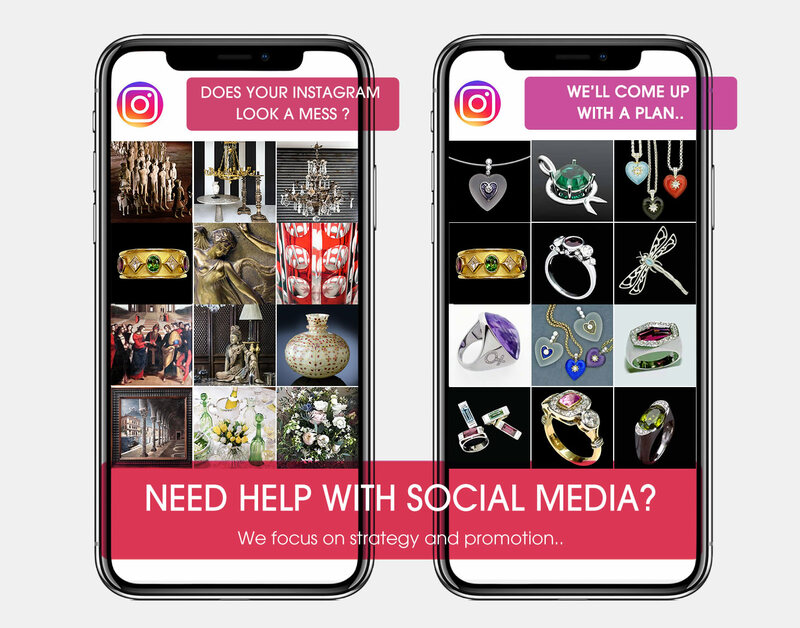 Your company's STORY..
+ set up your social media profiles on Instagram, Twitter, Facebook..
+ produce the actual material for postings, captions.. It's important to get your social media presence right from the start, executed well and with discipline, so it can have a great impact on promoting your brand.